Virginia Tech’s Shayne Graham trots onto the field at West Virginia on November 6, 1999, with two thoughts in his mind. One is a missed field goal that would have beaten Miami a year earlier. The other is the 44-yard field goal he is about to try against the Mountaineers, a kick he must make if the Hokies are to stay unbeaten and on track for a national championship. Head down, he focuses on his mark as the ball is snapped. He steps forward, the dream of an entire team resting with his leg. Now, hear Graham’s memory of that kick in his own words, for the first time. 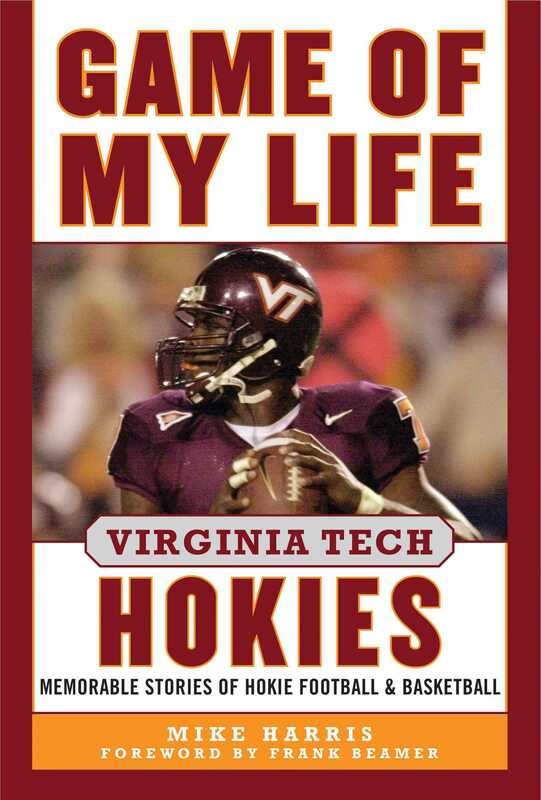 Game of My Life: Virginia Tech Hokies, first published in 2006, celebrates the extraordinary football and basketball moments that have shaped the college’s rich athletic heritage. Through interviews with some of the school’s most prestigious athletes, Hokies fans can relive the big games that defined the school’s winning tradition. Carroll Dale, later a fixture with the Green Bay Packers, dovearms outstretchedto haul in a crucial two-point conversion in a 1957 game against the University of Richmond. Les Henson shot from the baselinethe other baselineas the clock neared zero against Florida State in 1980. Chris Smith went well beyond the "double-double" standard for points and rebounds. How about 30 and 31 against Marshall in 1959? Corey Moore made life miserable for Clemson quarterback Brandon Streeter one night in 1999. Bruce Smith did the same for Duke quarterback Ben Bennett in 1983. The Hokies’ Jim Pyne, meanwhile, made sure Syracuse’s Kevin Mitchell didn’t do the same to Tech quarterback Maurice DeShazo in 1993. Carlos Dixon, Mike Imoh, Andre Davis, Dell Curry, Bryan Still, Don Strock, Bryan Randallall the Tech greats from the gridiron and hardwoodare in these pages, including coach Frank Beamer. Join thousands of Virginia Tech fans in remembering these cherished stories. For the athletes within, these truly were the games of their lives.